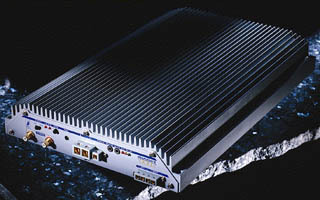 What years where the MS/MPS series amplifiers produced? What is the difference between the old MS and MPS series amplifiers? The Mobile Series were designed to provide optimal power at high impedance loads such as 4 ohm stereo or 4 ohm bridged. They also have a higher wattage rating for competitions such as IASCA or USAC. The Mobile Professional Series provide their optimal power into low impedance loads such as 1 ohm bridged or .5 stereo. The MPS series have much lower competition wattage ratings. 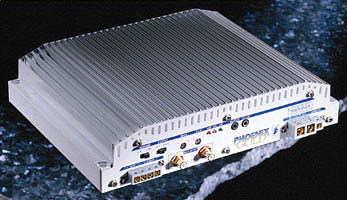 They are often called "Cheater" amps because they allow competitors to compete in lower power brackets, when in reality they are using a lot more real world power. When I took the cover off my MS/MPS amplifier I noticed that the right channel's polarity is reversed from what is labeled on the outside of the amp for the speaker terminals. Did someone wire the inside of my amplifier wrong? No, you're amplifier is wired correct. Since the MS/MPS series amps are able to run in tri-linear mode internally the polarity of the right channel is reversed. When you wire speakers to your amplifier use the information that is labeled on the OUTSIDE of the amplifier, near the speaker terminals. What does the internal blue switch do on my MS and MPS series amps?? Early MS275s (as well as other early MS series amplifiers) had another two-position switch on the circuit board with a blue dot next to it. This is the Master/Slave switch. The standard position is towards the blue dot, which is the slave position. There are two 1/8" mono phono jacks for connecting amplifiers together located on the amplifier's end panel. The Master/Slave switch configures the amp as either the master or slave in a multiple amp installation. One amplifier is designated as the master amp with all others as slaves. This allows the master amplifier to control power supply switching for all amps. By switching all power supplies in sync, AM radio performance is improved by eliminating heterodyne noise. However, if connected and configured incorrectly, power supply damage to all amplifier power supplies is highly probable. For this reason, we eliminated this feature on later model MS amplifiers. The switch can be in either position and has no effect on performance if this feature is not used. What does the internal Yellow/Red switch do on my MS275? All MS275s have a two-position switch in the middle of the circuit board with a red dot on one side and a yellow dot on the other. At the factory, the switch is set to the yellow position. The red position will limit the power supply voltage and allow for more output current. This can improve thermal performance when the amplifier is driving low impedance loads (2 ohms bridged). This offers an alternative to installing cooling fans. What does the bridge/stereo switch do on my MS and MPS series amplifiers? When the switch is on bridged, then the amp will only use the left RCA input for the music signal, the right RCA input will be ignored. With the switch in stereo it will use both RCA's inputs for the musical signal. If you plan on using this amp in bridged mode, then I suggest you leave the switch on STEREO and allow the amp to use both RCA musical inputs. Will my MS series amplifier double its power into 2 ohm bridged? No. But it will gain some power, just not double. For example, a MS2125 is rated at 500 watts bridged into 4 ohms, it’s output will be approximately 700 watts in 2 ohm bridged. Although, it has never officially been measured. What might I need to run my amplifier to safely run into 2 ohm bridged? The MS series has no "governor" or "limiter" circuits to restrict it's power supply when you run at lower impedances. This means if your careful and no what your doing, you can get a lot of performance out of your amp. 1. If this were the only amp in the system, it would require at least 2 gauge wire from the battery to the rear of the car. Since it is very likely that you will have some amps for mids and highs, I highly suggest running 1/0 wire from front to rear. Then use 4 gauge wire from a distribution block to a minimum 1 farad capacitor. Finally, 4 gauge from the capacitor to the amp. Add more caps if you can afford them and fit them into your install. A 4 gauge ground wire to the rear frame assembly will provide a good ground. There's no need for a dedicated fuse for any MS or MPS amp. However, for competition you may want one anyway to meet the "easy and quick access" judging rules. If the amp were mounted upside down under a quick opening Plexiglas panel or something, that would take care of it. The reason for all the power wiring overkill is a matter of basic ohm's law. 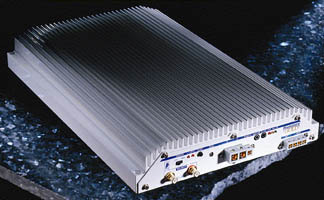 For example a MS2125, will TRY to double its power and make about 1,000 watts. 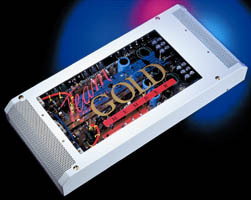 However, the size of the amp's power supply will only allow it to make about 720 watts. To make that much power, the power supply MUST have adequate amounts of current. How much? At max undistorted output with typical music material, about 65 amps continuous with peaks (< 50 milliseconds) of around 100 amps. Any amount of resistance in the power or ground side of the circuit restricts current flow. If we restrict current flow then the voltage at the amp's B+ and B- terminals will sag when heavy bass notes hit. And when the voltage sags so does output power. When everything is complete, you can check the voltage drop at the amp's power terminals with the engine idling and no electrical loads turned on. Then play the system at maximum and watch the voltage sag with heavy bass notes. Maximum allowable sag is about 1 volt. Ideally, it should be less than 1/2 volt. 2. You'll need cooling fans. Extra power means extra heat. The heatsink isn't large enough to naturally dissipate the heat generated from low impedance operation. This is another reason people like to put the amp upside down under Plexiglas. With an enclosed amp rack and a couple of 3 inch fans on each end (two pushing and two pulling), you can force the air through the heatsink fins.